Creatures of Leisure’s Shortboard Triple Surfboard Bags have now become the industry standard for travel with two or more surfboards. Creatures redesign of the traditional surfboard travel bag created the superior solution that surfers the world over have been waiting for! The key to their Surfboard Bag success lies in the expandable sidewall, its unique design allows excess material from the remainder of the cover to be trimmed away, reducing the overall size of the Surfboard Bag by at least 20%. 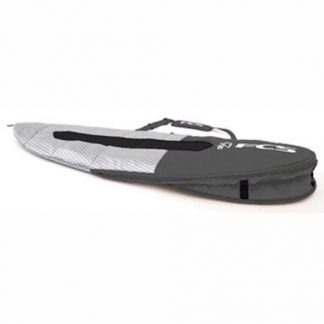 (design used in this Shortboard Travel Bag) In addition, a slim fit bag tightly encases the boards inside, providing improved protection without unnecessary bulk or weight. Slim fit Surfboard Bags are a patent pending/registered design and another world first innovation from Creatures. 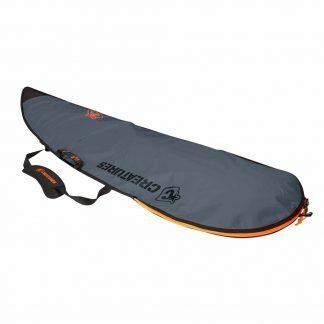 The Creatures of Leisure Shortboard Triple Travel Bag offers incredible protection without all the bulk! This travel bag features 10mm closed cell padding, 600 denier polyester rip-stop fabric, 5mm rail protectors, a stash strap, heat reflective silver poly fabric, and a tough lockable metal zipper. 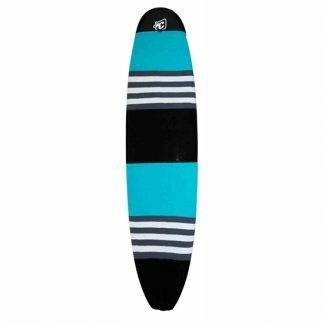 Don’t forget that the also comes with an interior fin pocket and a 5mm tong to separate your boards! 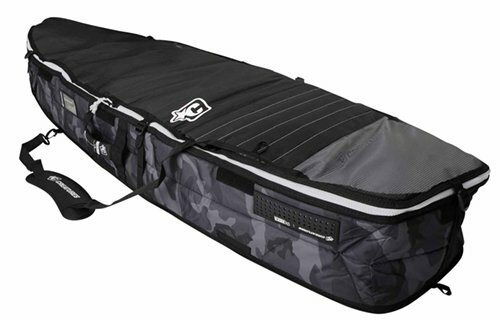 The Creatures of Leisure Shortboard Triple Travel Bag is a 20% smaller Travel Bag that will blow your mind. 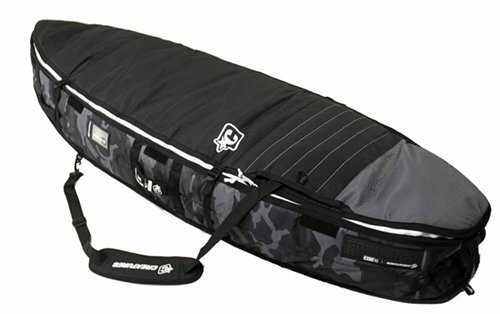 Creatures of Leisure – Shortboard Triple Travel Bag: holds up to 3 boards without fins.